Barlow seniors Jesse White and Evan Inglesby each hit 3-pointers down the stretch to bring the Bruins even on the scoreboard heading into the final minute. 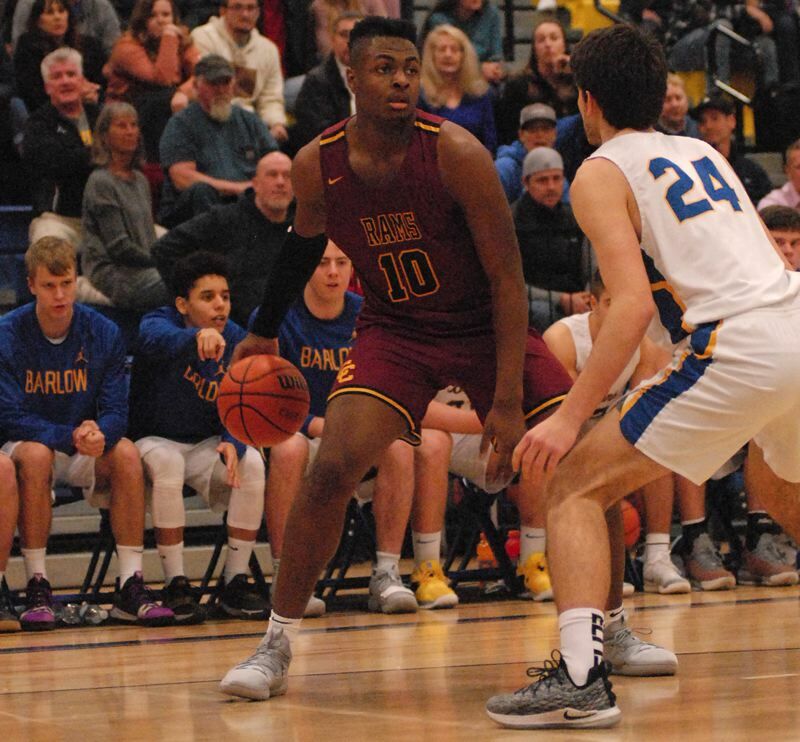 Central Catholic regained the upper hand with a series of free throws, and the Rams were determined that neither of Barlow's big two would get another chance on the game's final possession. Barlow came out of a timeout with 0:24 to hunt down a tying 3-point try. The Bruins moved the ball around the perimeter with intentions of popping Inglesby open for a clean look at the basket. Instead, Central's Darius Gakwasi deflected a pass and those plans went overboard like a treasure map lost at sea. "The pass got tipped and that put us into a scramble," Barlow head coach Tom Johnson said. 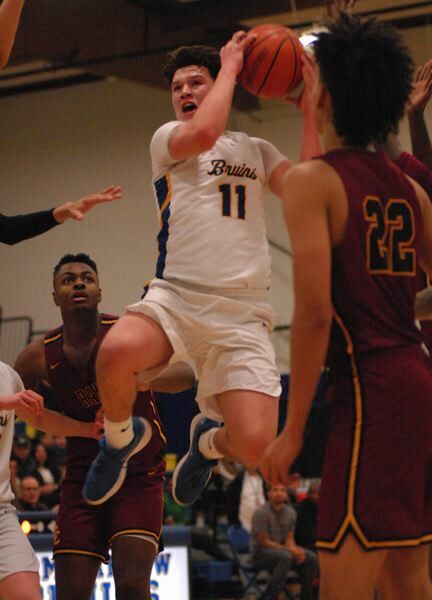 The Bruins did get off a couple challenged 3s, but both tries came in flat and rolled off the rim, allowing Central Catholic to pick up the 84-81 win in the clash of top-10 teams. "This is a hard one to swallow, but we need to make this a new starting point in our season," Johnson said. 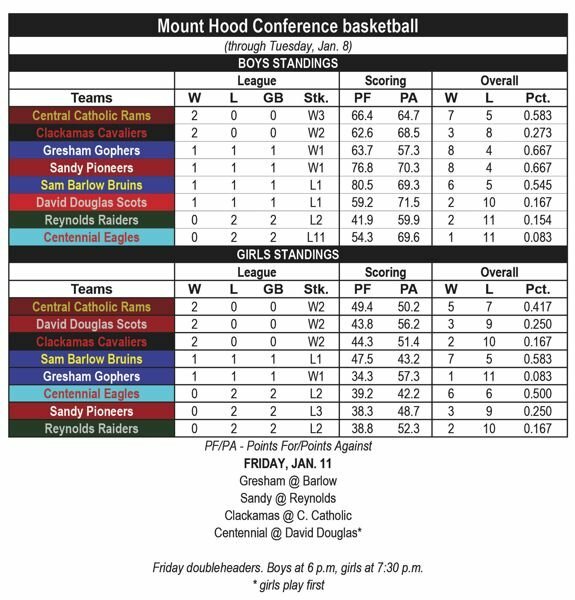 "This is a tough place to come and play, so any road win against Barlow is great," Central coach David Blue said. "I'm proud of the way our guys stayed together and kept with the game plan." Gakwasi drilled a corner 3 to put Central up five early in the fourth quarter. Barlow answered with Inglesby stealing a pass and heading the other direction. He had teammate Dominic Jacoby running through the lane, but making a play was difficult with three Rams' defenders in the area. Instead, Inglesby took to the air from 12 feet out and played a shot off the glass. A minute later, White rebounded his own miss in the lane and went back up for a three-point play that brought the Bruins within 70-69 with five minutes to play. Central punched back with DeRay Seamster going high off the glass to finish a baseline drive, followed by Gakwasi with a 3 from the top of the arc. The Rams were up four with 2:20 to play after Isaiah Amato dished a pass through the lane for 6-foot-7 center SataieVior Ayiliola, who waited on two defenders to fly past before going up for an easy bucket. He finished with a game-high 33 points. "We kept our composure and kept going to our hot hand, and it paid off in the end," Amato said. White and Inglesby each came up with late 3s to tie the game at 81 with 1:18 left, but the referees whistled an off-the-ball foul and Ayilola sank both free throws for what proved to be the winning points. Barlow missed its answer at the other end, sending Jared Hunter diving over the baseline to save the rebound. But the ball ended up in the hands of Amato. Tyson Parker made one of two foul shots to force the Bruins to try a 3-pointer down the stretch. "We saw an advantage underneath and we kept attacking them there," Blue said. "We traded 2s for their 3s, and relied on our defense to get the job done." Jacoby put on spin moves in the lane on back-to-back possessions to push the Bruins to a quick 5-2 lead. But Barlow was forced to make an early adjustment when Inglesby left the court barely a minute into the game and got his ankle re-wrapped on the sideline. He would return late in the first quarter. Ayilola put the Rams up 21-15 when he received an entry pass deep in the post, forcing him to bend his body to avoid the backboard on his way up for what turned out to be a three-point play. 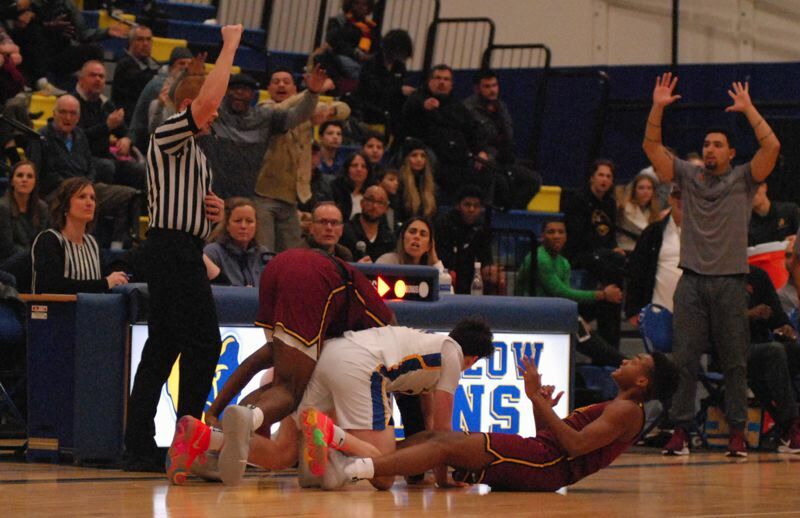 The Bruins worked to stay close when Jacoby dribbled to the top of the arc before flipping a pass to Joey Wolcott, who was left with an open path through the lane for a layup. Late in the first half, Inglesby picked off a pass and took it the distance for two points. Still, Central went into halftime with a 45-37 lead. Seamster opened the second half with a 3-pointer, and Parker swooped to the front of the rim for a layup that gave the Rams their biggest lead of the night at 15 points. "That brought us a lot of energy, knowing that we could hang with them," Amato said. The Bruins rushed back with Noah Lowery hitting a deep ball, followed by White with a miss from long range. But Hunter came up with the rebound and dished the ball to White, who sprinted to the front of the rim for an easy finish. Jared Vedus brought the Bruins' bench to its feet with back-to-back 3s the trimmed the deficit to two points heading into the fourth quarter. Barlow (81) — Jesse White 25, Evan Inglesby 21, Dominic Jacoby 11, Joey Wolcott 9, Noah Lowery 6, Jared Vedus 6, Charles Ndayizeye 2, Jaren Hunter 1, Nomie, . Central Catholic (84) — SataieVior Ayilola 33, Darius Gakwasi 18, DeRay Seamster 15, Isaiah Amato 14, Tyson Parker 4, James, Ainslie. This story is slated for our Friday, Jan. 11, print edition.